Hereunder we would like to explain why it is so important and strongly recommend from Startupxplore to have a well-diversified investment portfolio. Although we are sometimes totally convinced that we are investing in a “winning horse”, the odds of a company failing in its beginnings are high, so it is best to reduce that risk. How can we do that? DIVERSIFYING! 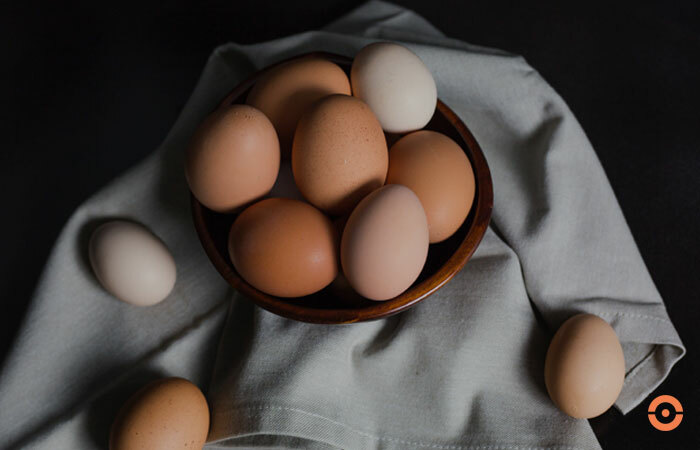 It’s something really easy to understand, it’s about putting the “eggs” (money) in different “baskets” (startups) and not in a single one (startup), because if we have all the eggs in one basket, what would happen to them if we drop it? Why should we put the ‘eggs’ in different ‘baskets’? Imagine that we have a basket full of startups (the market) in which we can invest and we decide to take one and invest in it, and it goes through our minds… what is the probability that the startup I have chosen will end up failing after 3 years? Well, let’s assume for now that this probability, on average, is 90%, i. e. as a percentage, 90% of companies end up failing after 3 years of life. Now, aware that it is important to diversify, we decided to invest in another one, and we ask ourselves again, what is the probability that the second startup I have chosen will end up failing after 3 years? Since the “basket” of startups is always filling up (the creation of new opportunities is constant and even exponential), we will say that it is the same as the failure of the first one we have chosen, 90%. Therefore, the probability that the two startups will fail after 3 years and therefore lose my capital is 81%, less than if we invest all our capital in a single startup, 90%. Now, imagine that we decided to invest in 5 startups, what is the probability that the 5 startups will fail after 3 years? 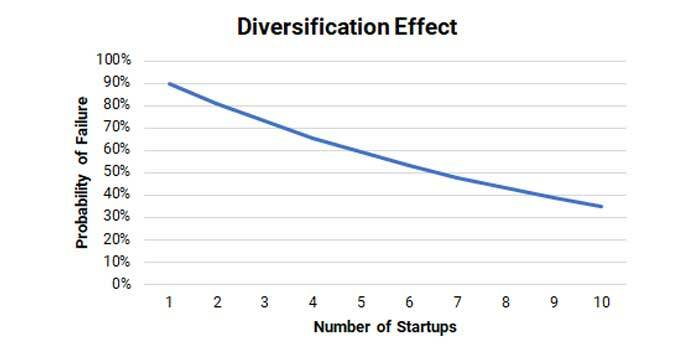 The greater the number of startups in our investment portfolio, the less risk we have of them all failing and therefore, the greater the likelihood of success we will be able to achieve. … because every % (probability of failure) is different and therefore directly affects our chances of success. This is why we always recommend you to invest in several startups instead of concentrating your entire investment on one or two. HOW CAN YOU DIVERSIFY WITH STARTUPXPLORE? Using Startupxplore it’s easy to diversify, because instead of having to commit a minimum ticket of between 30,000€ and 50,000€ per deal, you can start investing from much less. In addition, in Startupxplore we make a varied selection of operations following criteria of diversification in markets, locations, products and of course vintages. Therefore, instead of making a very strong bet on a few companies, it is better to commit a smaller amount but in many operations. How can startups 'exit' and investors make money?